One person was killed and five others were injured when two boats crashed off Vashon Island on Saturday night, according to the King County Sheriff's Office. The incident occurred around 10:45 p.m. off Dockton Park in the Quartermaster Harbor area. Police say the two boats were coming back from an event at the Tacoma Dome. 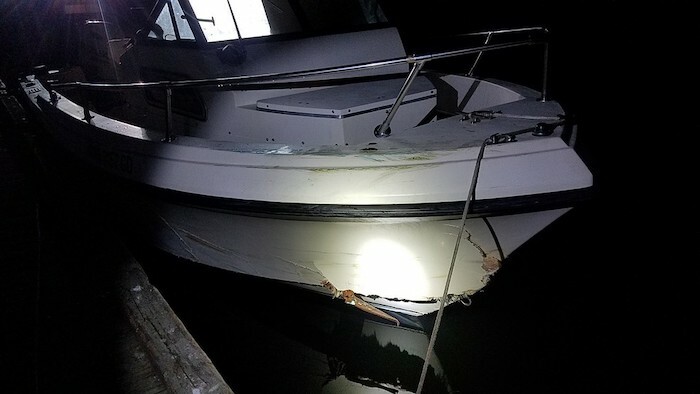 One boat with six people on board was traveling about a mile off Vashon Island when it crashed into a boat that was moored with no lights. No one was injured on the moored boat. The 28-year-old male driver was thrown off the other boat. CPR was performed, but the man died from his injuries. Four other people sustained mostly broken bones and were transported to Harborview Medical Center in Seattle. A good Samaritan towed the boat back to shore. Both boats were brought back to Dockton Park where they were met by emergency officials and police. In follow-up reports, police told The Seattle Times that they had reason to believe that the driver of the boat may have been under the influence of alcohol at the time of the collision. They also found that the boat was not properly equipped with any necessary instruments for safely navigating the waters at night. Establishing clear liability for a boating accident can be complex, and injured passengers should have a clear understanding of their own legal rights before speaking with or agreeing to any proposed settlement from an insurance company. Injury victims often face costly medical bills and missed time at work, which can put their financial future in jeopardy. The award-winning personal injury lawyers at Davis Law Group in Seattle provide injured victims with a free legal consultation to learn more about their legal rights after a boating accident. Call our office at (206) 727-4000 or use the confidential contact form on this page to request a free legal consultation today. Washington state’s waterways are some of the most popular in the country, and with plenty of opportunities for business, travel and recreation means there are accidents that occur on the water. Operators of boats have a special responsibility to ensure that the vessel is safe for travel. The operator also should pay close attention to their surroundings, the activity of passengers, and the rules of the water. Inattention can cause severe accidents, and the results can be severe and sometimes fatal. If you or someone you love is involved in a boating accident, the first step is to make sure that the proper medical treatment is received. Once your condition is stabilized, it may be in your best interest to contact a boat accident lawyer to protect your legal rights. A boating accident attorney can strengthen your case and make sure that you receive the financial compensation you deserve. Medical bills and missed time from work, combined with pain and suffering, can make these expensive accidents to recover from. Having a lawyer on your side can go a long way towards making it through this hard time. Contact Davis Law Group today for a free case evaluation to discuss your legal options. Our Seattle-based attorneys are experienced in boating accident laws and insurance issues. Call (206) 727-4000, use the chat feature below or fill out the form on this page to get started.